When the complicity of Sweden’s Ambassador to Australia Sven-Olof Petersson in illegal rendition and torture, plus Sweden’s obsequiousness towards CIA demands of extraordinary rendition, were exposed in News Junkie Post in December 2012, it seemed unthinkable that the Australian government would knowingly entertain an ambassador of such questionable credentials. 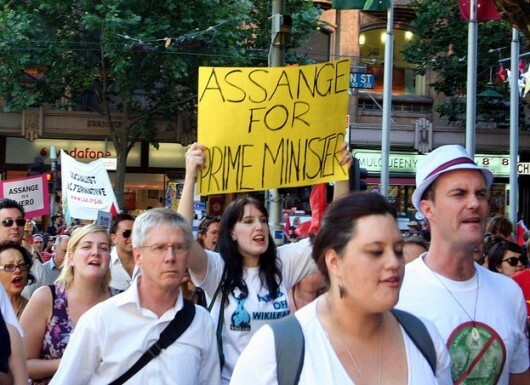 Australia’s Foreign Minister and Senator Bob Carr had joined in the chorus when Sven Olof Petersson, instructed Julian Assange, an Australian citizen, to go to Sweden. We wrote to Senator Carr to inform him of our findings about Ambassador Petersson. They say people are judged by the company they keep. In December last year the following article was published regarding former activities of Sweden’s Ambassador to Australia, Sven-Olof Petersson. In the light of revelations that Sven-Olof Petersson was complicit in the rendition of several refugees, including Egyptian nationals Ahmed Agiza and Muhammad al-Zery, who were picked up by the CIA and severely tortured in Egypt, will you Mr Carr disassociate yourself from the Swedish ambassador’s persecution of Julian Assange? Both you and Mr Petersson have urged Assange to go to Sweden in an expression that he would be treated fairly, whereas many suspect the Wikileaks founder would be picked up by the CIA as soon as he stepped foot in Sweden. Julian Assange has had to seek refuge in the Ecuadorian Embassy because the Australian Embassy and Australian government have refused him sanctuary even though he is an Australian citizen. 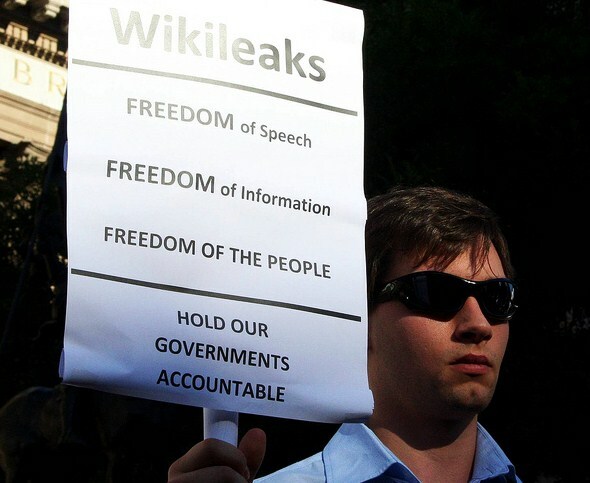 In what increasingly looks like a trumped-up case, in which the prosecuting firm in Sweden, of Borgström & Bodström, has been specifically chosen by the Swedish government to press charges on the flimsiest of allegations, allegations of which Assange has already been acquitted without charge, is it not an uncomfortable position in which you find yourself? We would point out that Thomas Bodström was Minister for Justice in Sweden, when Sven-Olof Petersson was Director General at the Ministry of Foreign Affairs. Both knew of and approved of the rendition of Mr Agiza and Mr al-Zery. We do not want to believe that you share these values too. People are judged by the company they keep. So we respectfully ask if you will disassociate yourself from Mr Petersson and question his suitability as an ambassador to Australia and other Australasian countries? Please also pledge that Australia will start giving Julian Assange the support he is entitled to as an Australian citizen. We await your response. We posed three questions in all (highlighted here in bold type). The first and third questions are similar except that the latter asks additionally if Senator Carr will question Mr Petersson’s suitability as an ambassador. Does the following reply from Carr’s office address any of our questions? Thank you for your letter dated 13 January 2013 regarding the case of Mr Julian Assange. I have been asked to reply on behalf of the Minister for Foreign Affairs, Senator the Hon Bob Carr. The matters you have raised in regard to the Swedish legal system and the Swedish Ambassador to Australia would be more appropriately raised with Swedish authorities. 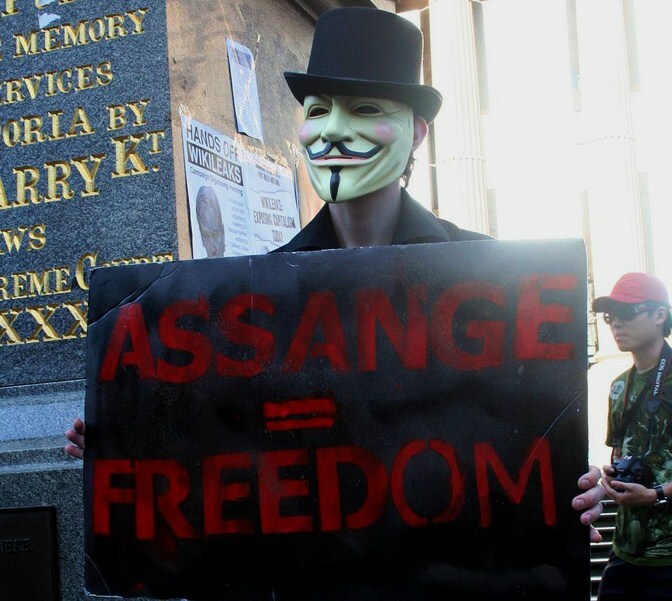 The Australian Government continues to offer Mr Assange consular assistance and our officials have been in regular contact with him or his representatives since legal processes were initiated in 2010. The Government is monitoring legal developments in both the UK and Sweden to ensure that due process is followed. Thank you for bringing your views to the attention of the Minister. The letter from Senator Carr’s office bears out the claims made by Christine Assange. Perhaps Carr thinks he has answered our letter. Perhaps he genuinely believes that Julian Assange has had consular support. If this is the case, then we would respectfully question what he smokes. Mr Carr has joined a known supporter of torture and rendition in urging Julian Assange to go to Sweden. This is the kind of support being offered by the Australian Foreign Office and Government. The reply to our letter answers none of the three questions asked. It is like going into a greengrocer’s, asking for three cabbages, and being thrown a coconut. What we really wanted to know from Australia was whether Bob Carr would disassociate himself from the Swedish ambassador because of his track-record on extradition and torture. If Senator Carr was prepared to disassociate himself from Ambassador Sven-Olof Petersson, would he not have said so? We are forced to assume that he agrees with rendition and torture and the handing over of innocent subjects to the CIA. Sweden’s record speaks for itself. It allowed, and the government probably even sanctioned, the recent rendition of two Swedes of Somalian extraction, Ali Yasin Ahmed and Mohamed Yusuf, who were picked up in Djibouti and rendered by the United States together with a British subject also of Somalian extraction. The British man, Mahdi Hashi, was stripped of his British citizenship for alleged terrorist activity, even though he had not been tried. Where was Mr Hashi after his disappearance from England? Was he interrogated aboard a US navy vessel. Theresa May’s racist anti-Islamist actions are well documented. In response to our request, Senator Carr, who may well be a good man for all we know, chose to do nothing. Editor’s Notes: John Goss is a writer and researcher, United Kingdom; Rafik Saley is general secretary of the African Committee for Development in Stockholm, Sweden; Okoth Osewe is a journalist and author, he writes for Kenya Stockholm Blog. Photographs two, three, four, five, six and seven by Takver and photograph one by John Blower. My country, Australia, has chosen to host a U$A base. perhaps they want to play in the big leagues, see chair at security council. It is a big ask for them to show disloyalty to the drone killers. If Julian’s name is placed on the senate ballot, about 60% support. We see where America is going, we don’t want to go there. Agree 100 per cent. USA out of Australia. Australian Govt stop supporting drone attacks. Crime against humanity. 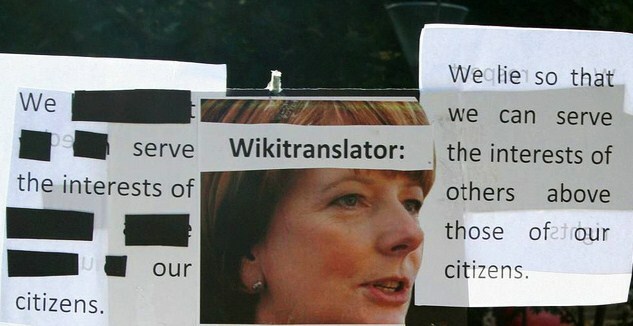 Julia Gillard you should be ashamed. It’s not that the Aussie politicos want to play “in the big leagues.” It is that they take their orders from the same masters as the governments of the U.S.A., U.K., Germany, France, Poland, Turkey, Qatar, etc. The formal governments are merely puppets of the Rothschild empire, which owns, among other things, the Bank of England, and so can buy obedient serfs to run the governments of all the NATO countries. Whom those puppets want to play with is irrelevant. They play the Zionist game of international plutocracy, or they are kicked off the playground. Julian Assange spoke with Bill Maher Friday February 8. The pathetic, lying, arrogant and irresponsible written replies that I have received so far to my letters to each Australian Federal Government member of the House of Representatives regarding their complete lack of support of Julian Assange can only confirm either the collusion at the highest level of our Federal Government with the anti-Assange forces or their outright fear of the same forces. Gutless! Unrepresentative. Oppressive government! 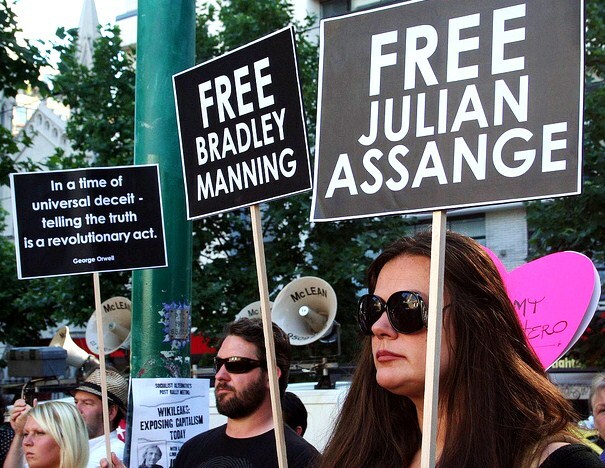 Julian- they need to be woken up….badly. Please activate your next exposure of secrets NOW. You gave the support of the honest people in this world. occupy them with your integrity.